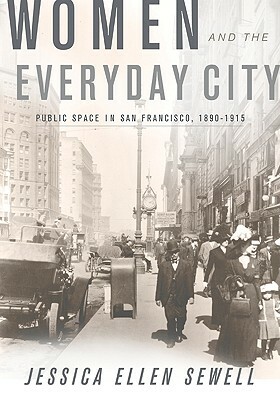 In Women and the Everyday City, Jessica Ellen Sewell explores the lives of women in turn-of-the-century San Francisco. A period of transformation of both gender roles and American cities, she shows how changes in the city affected women's ability to negotiate shifting gender norms as well as how women's increasing use of the city played a critical role in the campaign for women's suffrage. Focusing on women's everyday use of streetcars, shops, restaurants, and theaters, Sewell reveals the impact of women on these public places-what women did there, which women went there, and how these places were changed in response to women's presence. Using the diaries of three women in San Francisco-Annie Haskell, Ella Lees Leigh, and Mary Eugenia Pierce, who wrote extensively on their everyday experiences-Sewell studies their accounts of day trips to the city and combines them with memoirs, newspapers, maps, photographs, and her own observations of the buildings that exist today to build a sense of life in San Francisco at this pivotal point in history. Working at the nexus of urban history, architectural history, and cultural geography, Women and the Everyday City offers a revealing portrait of both a major American city during its early years and the women who shaped it-and the country-for generations to come. Jessica Sewell is assistant professor of art history and American studies at Boston University.